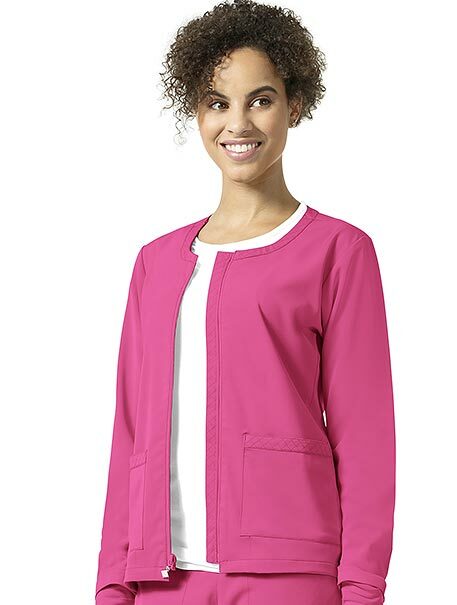 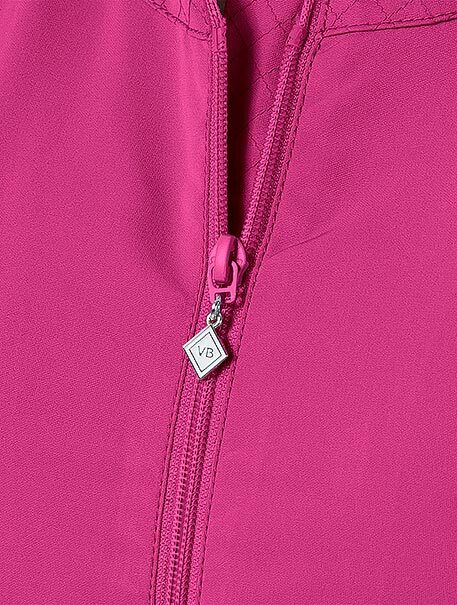 Named after inspirational chef, Julia Child, this sensational zipper front jacket is embellished with quilted trims, and accented with pockets and trims in contrast prints. 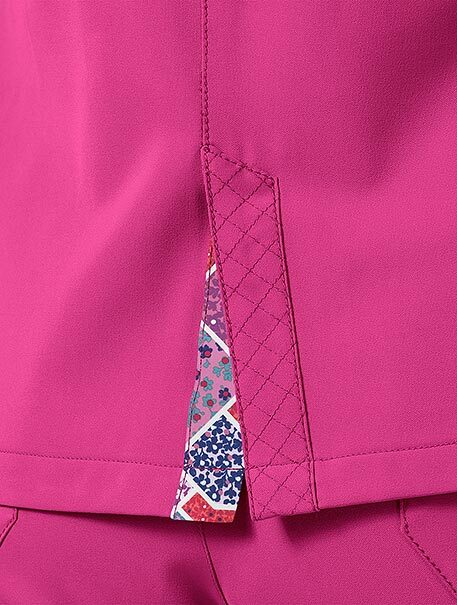 Inside are two patch pockets, a pen pocket and vent seam taping in a striking contrast print. 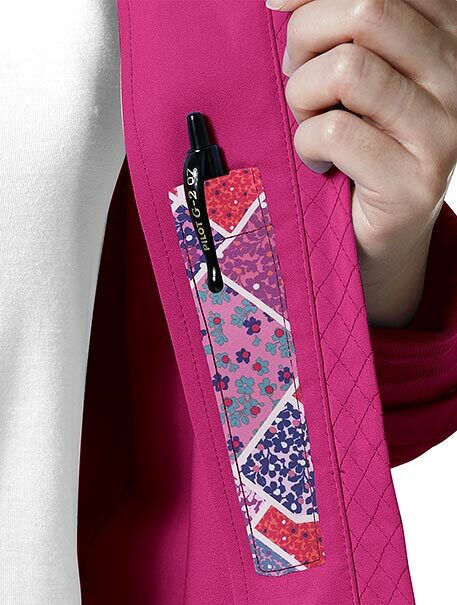 Vera Bradley fashion fabrics are beautiful, easy to care for, tactile and functional.